When Boris Tatievski founded BIZOL in 1998 he wanted to offer something new. His goal was to develop innovative products and push the boundaries of vehicle protection – a goal we have held to firmly. Today, BIZOL is proud to be a trendsetter. 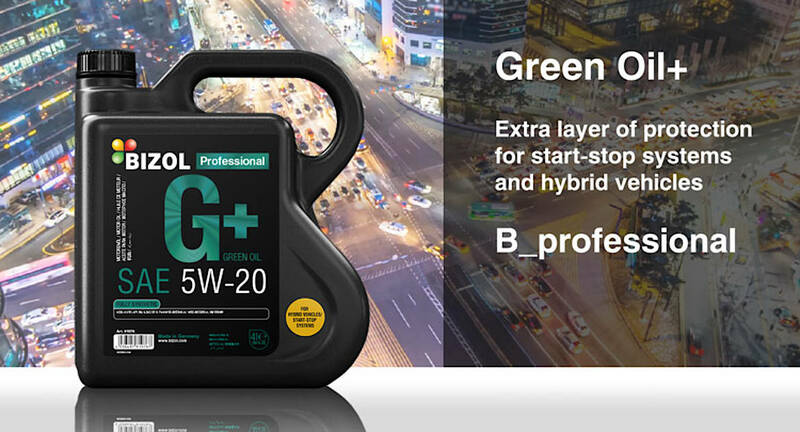 BIZOL Green Oil+ offer car lovers modern solutions to twenty-first century problems, guaranteeing the best possible protection for their vehicles. BIZOL continues to be driven by innovation. Prof. Dr. Boris Zhmud and his team of engineers and scientists work to meet the challenges of tomorrow. Modern lubricants face higher demands than ever. Strict emissions standards, environmental protection and rapidly developing vehicle technology all call for innovation. And BIZOL is up to the task. We combine German engineering expertise with the best raw materials and unique additive packages. Made in Germany from development to manufacture, our products exceed current industry standards. If you choose BIZOL, you know you will have the best possible protection – not just today, but tomorrow as well. BIZOL Green Oil+ is a cutting-edge, fully synthetic motor oil. It is guaranteed to offer the best possible protection against the wear-and-tear caused by congested traffic. Using an original combination of PAO, esters and a unique additive package, BIZOL created this oil so that car lovers can take proper care of their vehicle under the tough conditions of modern roads.